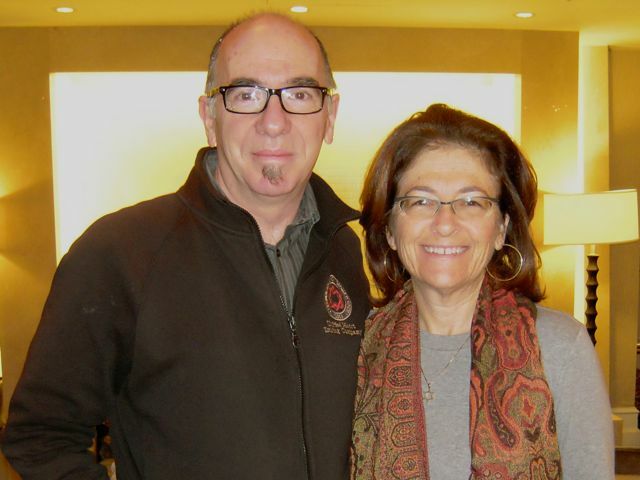 Julie Kohner and Robert Albanese, Director of the Vancouver Jewish Film Festival. UCLA Festival of Preservation brought This Is Your Life, Holocaust Survivors to The Ridge Theatre in Vancouver, British Columbia, on Sunday, November 20, 2011, as the closing film of the Vancouver Jewish Film Festival. Julie Kohner, was the invited guest speaker, and presented an introduction toVoices of the Generations and the This Is Your Life presentation. Audience members engaged in a question & answer session after This Is Your Life, Hanna Bloch Kohner. Special thanks go to Mr. Jim Sinclair from the Pacific Cinematheque, and Mr. Robert Albanese, director of the Vancouver Jewish Film Festival, for hosting this special event. Look for Voices of the Generations at the Jewish Film Festival on January 15, 2012 in Portland, Oregon.